Samples: Available on application only. 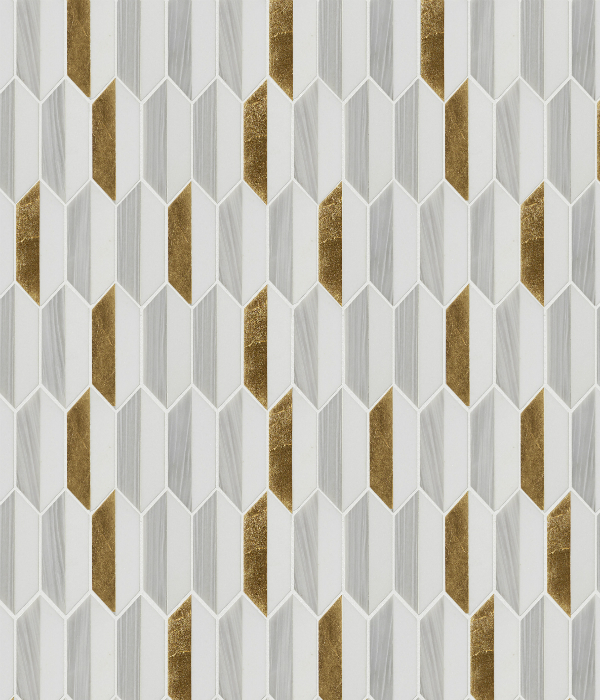 Artisans Ritz Marble Collection is a sleek range of hand-crafted mosaic tiles. 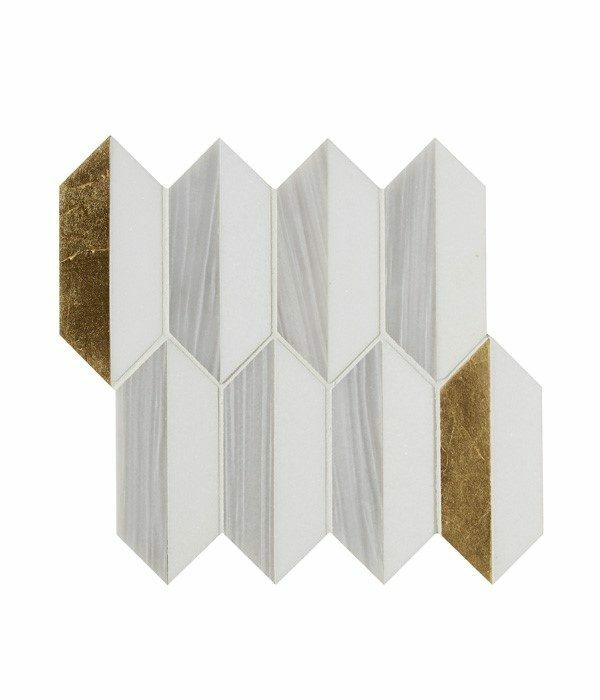 Combining innovative technology and first-class design, the result is a luxurious range of marble tiles. The collection draws inspiration from the Art Deco era, with its angular shapes and monochrome colour palette. A hint of metal inlay adds an extra sense of indulgence. These products are the result of a handmade process and it is important that they are handled with care. The materials used for the marble decoration – overlay with gold leaf and painting – are hand-crafted products imported from Italy. These products represent the highest expression of elegance and preciousness of a product, completely handmade by qualified staff. Variation on shades of colours should be considered as a natural artistic characteristic that makes this item unique and original. Before installation, it is very important to unfold the products dry on the floor to create a layout sequence that makes the most of these delicate differences and refined colour effects. Important Notice: We recommend not to cut the items which are processed with metallic leaves and lacquers. 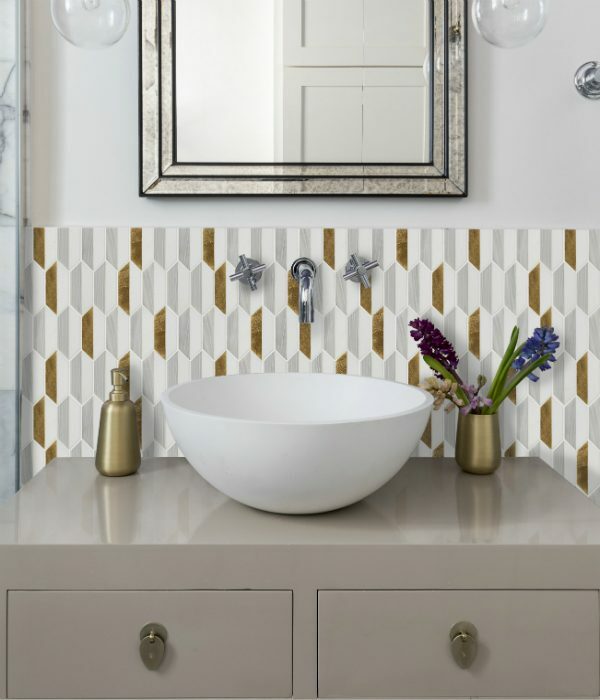 During installation, we recommend that before the grout has dried, the surface is cleaned using only a smooth sponge, made damp using only water and mild water-based detergent.